Solve the December dilemma by baking Challah! 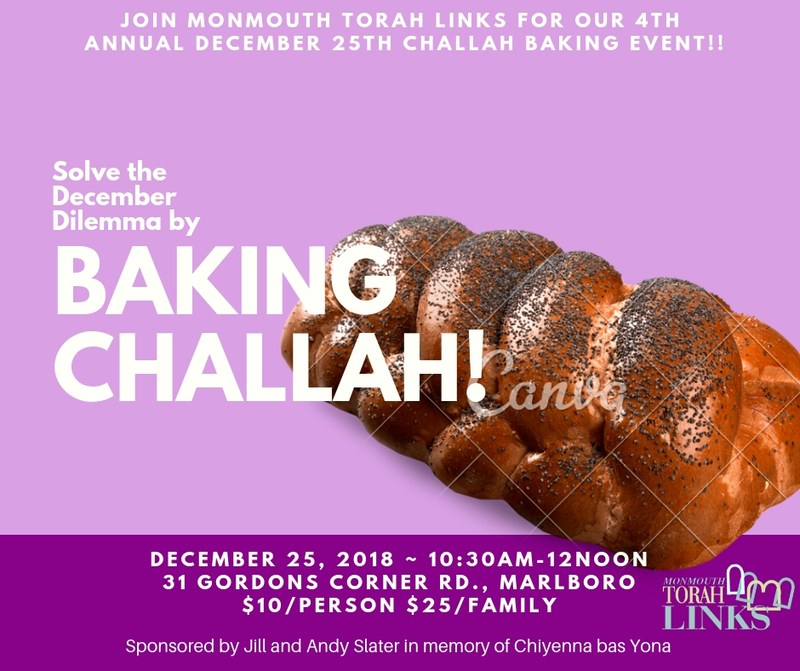 Join Monmouth Torah Links for our 4th Annual December 25th Challah Baking Event! !